The Canada-Colombia Free Trade Agreement came into force on August 15. 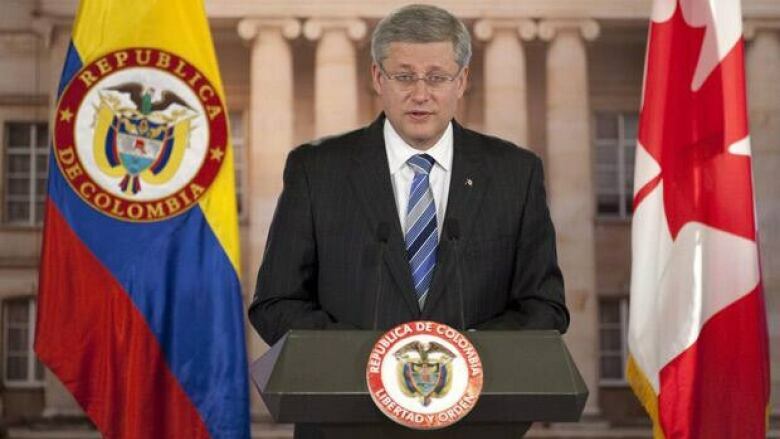 The Canada-Colombia Free Trade Agreement came into force on Aug. 15, 2011. The deal removes or reduces most tariffs on trade between the two countries. The agreement was reached in 2008 and received royal assent in Canada in 2010. Two-way trade between Canada and Colombia totalled $1.4 billion in 2010. So what do the two countries trade? The top five imports account for 80 per cent of Canada's imports from Colombia. The top five exports account for 70 per cent of Canada's exports to Colombia. Wheat alone represents 22 per cent but that is just 2.5 per cent of the wheat Canada exports worldwide. *Half the cut flowers that Canada imports come from Colombia. *Almost a quarter of the off-highway, heavy-duty dump trucks that Canada exports go to Colombia. POV: Should Canada expand free-trade agreements in Latin America?